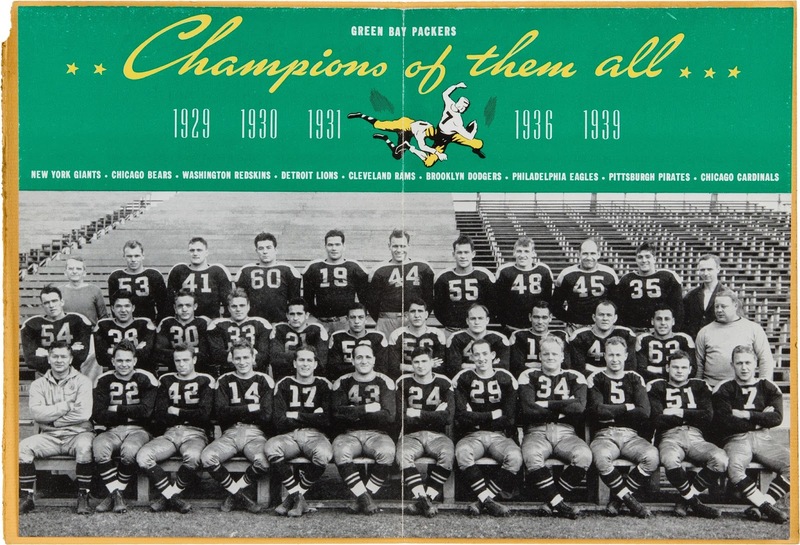 The Green Bay Packers won their fifth World Championship on December 10, 1939, when they dismantled the New York Giants in the title game, 27-0. 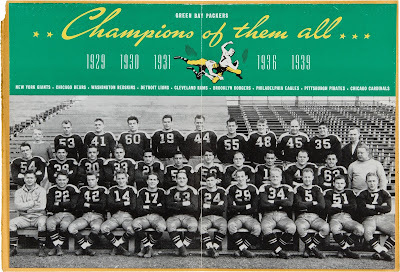 Four days later, they attended a testimonial banquet in their honor in Green Bay. 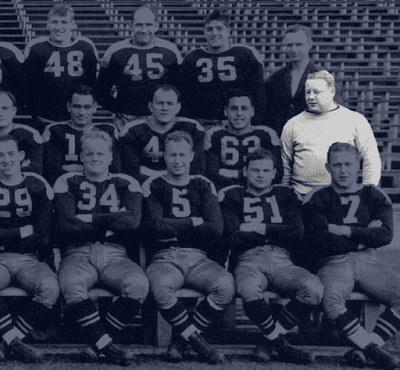 This team photo comes from the banquet's program. In the second row, far right, we have longtime Brewer catcher/coach/manager/general manager Red Smith. Smith spent his offseasons in Green Bay (not to mention a couple of his summers), and he was as successful there as he was in Milwaukee. 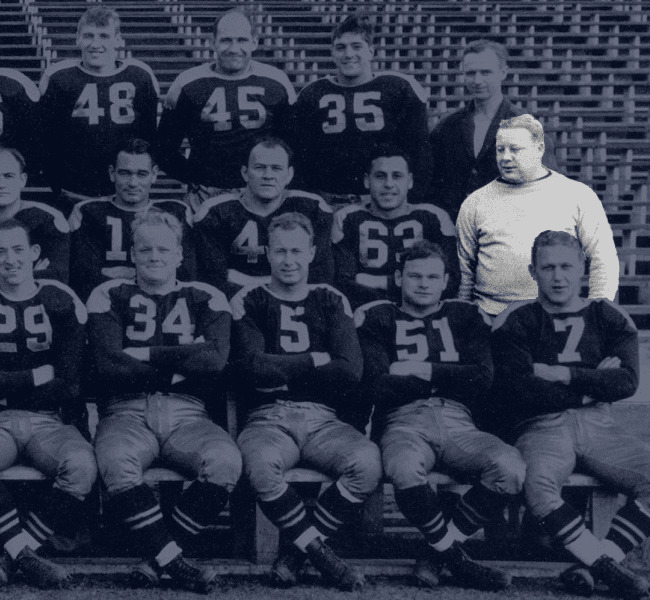 He holds a particular position in Wisconsin sports history, tied to two of the state's most important and long-lasting teams.